A picture paints a thousand words and when it comes to promoting your business, a good quality photo can say it all! The primary goal of showing good quality photos on your listing is to attract potential customers. You want to stand out from your competitors when people are browsing the site, so take advantage by featuring images that will capture your audience. You don’t need a professional photographer for the best photos, simply use a good camera and make sure your images are in focus and taken in good lighting. 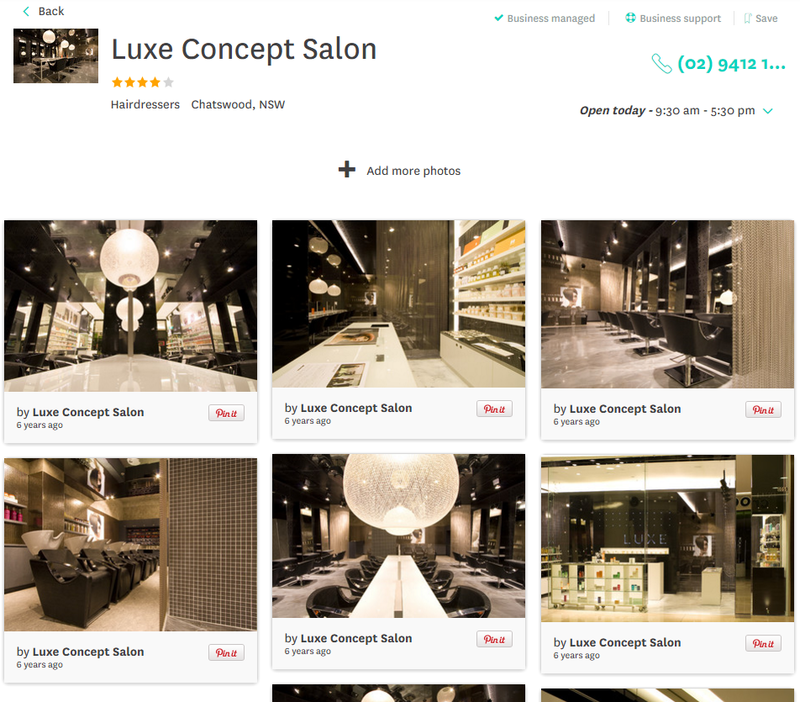 Luxe Concept Salon business listing is a good example of a capturing photo gallery. When taking photos of your business, think like a marketing professional or an advertising executive. How do you want people to view your business? What message are you portraying? You want your photos to grab their attention and help boost your business’ reputation. For example, if you want people to know that your café is the trendiest, most popular place in your area, don’t take a photo of the café when it is empty. Fill it up, or wait until it is full to show off its best feature. Think about what makes your business stand out and start taking photos! Log into your Business Centre and update your listing now. Your business isn’t on True Local? Add your business.